An understanding of the dynamics Of monsoon and flooding in Bangladesh is of crucial importance in the management of its water resources. Of particular importance is the management of the country's floodplains, which would aim to ensure sustainable development of such important sectors as agriculture and fisheries. This book investigates the complexity of land and water interfaces as well as the land cover and land use patterns in the north-central region of the country and explores the potential for the use of remote sensing techniques to support floodplain management. The study culminating in this book was conducted against the backdrop of the monsoon and the severe flooding event of 1998. A simple but reliable methodology has been developed for determining the extent, depth and duration of inundation within an area, along with possible consequences for land cover and land use patterns. Based on this methodology, a spatial tool has been developed that can assist floodplain, research and management, using the potential of satellite-based radar images in conjunction with topographic information and local knowledge on inundation, land cover and land use patterns.. 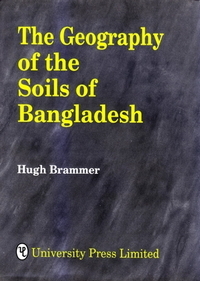 It is believed that the contribution made by this book will be valuable in furthering effective research on water resources management in Bangladesh to facilitate sustainable development of the country.